Heading to the theatre? 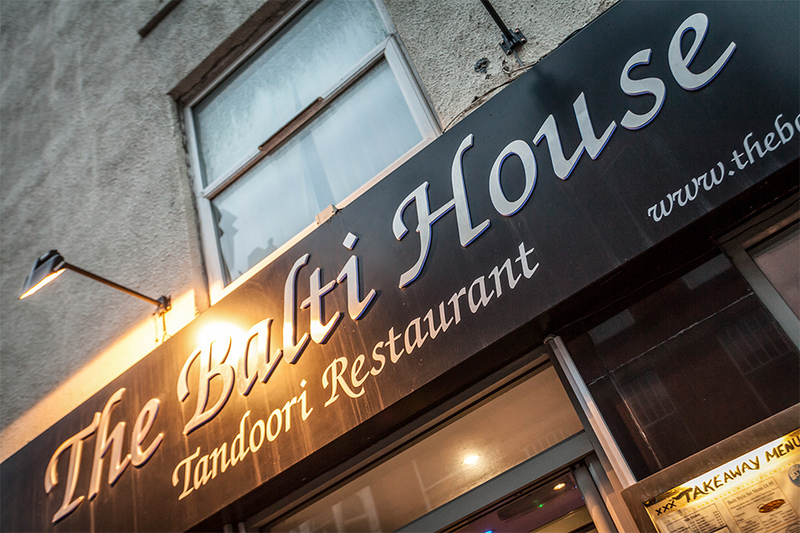 Book a table at Balti House and enjoy their incredible value two course menu for just £8.95 per person. See menu for full list of dishes available. Available 5:35pm - 6:55pm. Book online for free text confirmation or call 0115 754 0204. Treat your little ones to this delicious children's menu at The Balti House. Choose from a small meal for £5.95, medium for £6.65 or a large meal for £6.95. Book online for free text confirmation or call 0115 754 0204. £13.95 Large Party Set Menu - Go dine Exclusive! 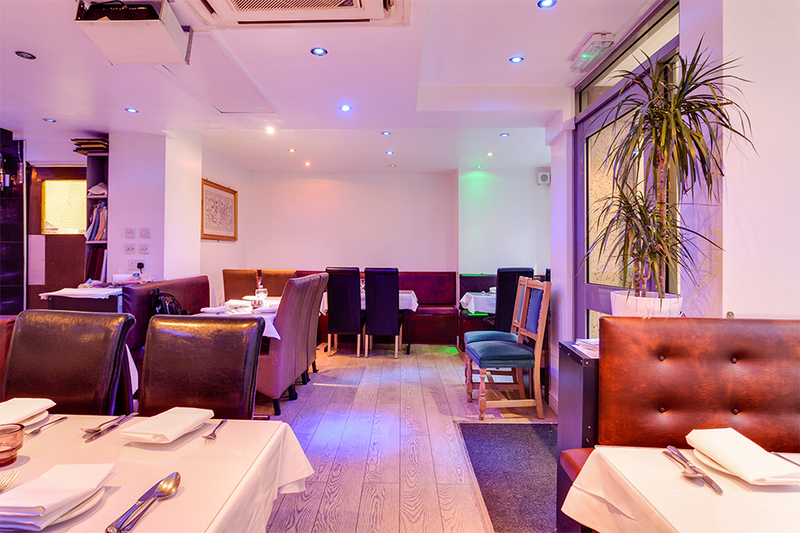 Balti House have been the choice venue for hosting parties for years! 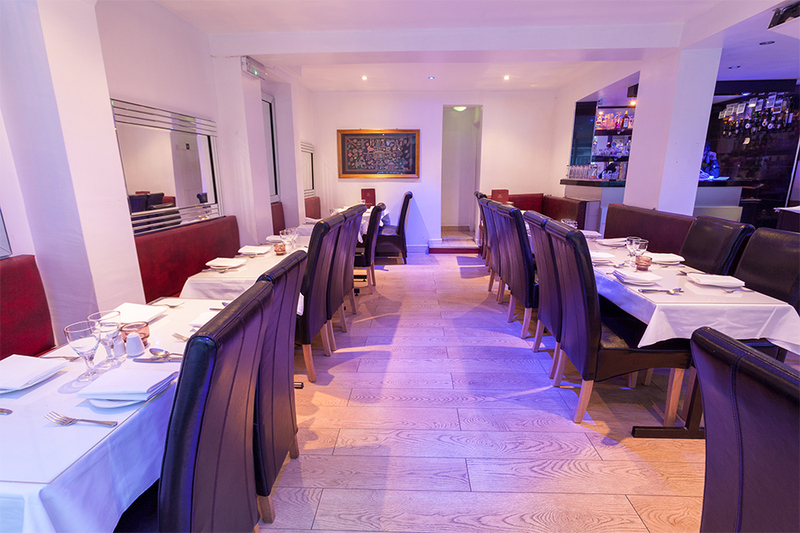 Available for parties of 8+ enjoy 2 delicious courses of authentic Indian cuisine for just £13.95 per person including poppadoms and chutney, a platter of starters to share and a main of your choice served with pilau rice and naan! This offer is normally priced at £16.95 but available Exclusively through Go dine for just £13.95. During December this menu will be priced £15.95 per person. Book online for free text confirmation or call 0115 754 0204. Enjoy 2 delicious courses from the set menu for just £10.95 per person available throughout the week, 5:30 - 10pm every day. Choose a starter, main and side. Book online for free text confirmation or call 0115 754 0204. Starters were lamb hot meat and fish pakora. They asked how hot I wanted the lamb and they did it perfectly. Very tender. My wife said the fish pakora was delicious. The main course was chicken balti and chicken dupiaza both of which were as good as any we have had in Nottingham. Going back I would ask for a seat away from the windows. Excellent meal again. Sam really looks after his guests. Great value for money. AmaZing food. Amazing staff. Amazing service. We had the balti meal deal which was brilliant value for money and the service was even better. Great, friendly service. Great priced deal but food not brilliant. Starters were nice but curries were watery. Friend got parking ticket outside for parking in a not clearly marked restricted area, a little further up from the restaurant...so beware! Fast and friendly service despite us being a large group. Good value and tasty Indian cuisine. Very good food, friendly and chatty service. Good place for a meal! This place does a curry really well. The tikka masala was lovely and so was the madras (I stole a mouthful from my friend). Staff were very polite and down-to-earth and even gave us a discount voucher at the end of the meal! In the district of Hockley, in the heart of Nottingham, you will find a number of fantastic restaurants offering everything from the modern to the traditional. 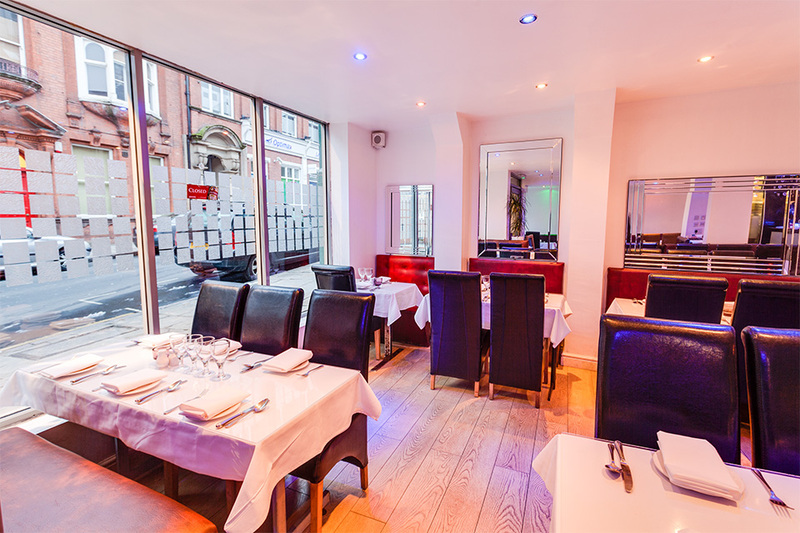 Providing diners with the perfect balance of authentic Indian cuisine, traditional décor and friendly service, it comes as no surprise that The Balti House is one of the most popular Indian restaurants in Nottingham. 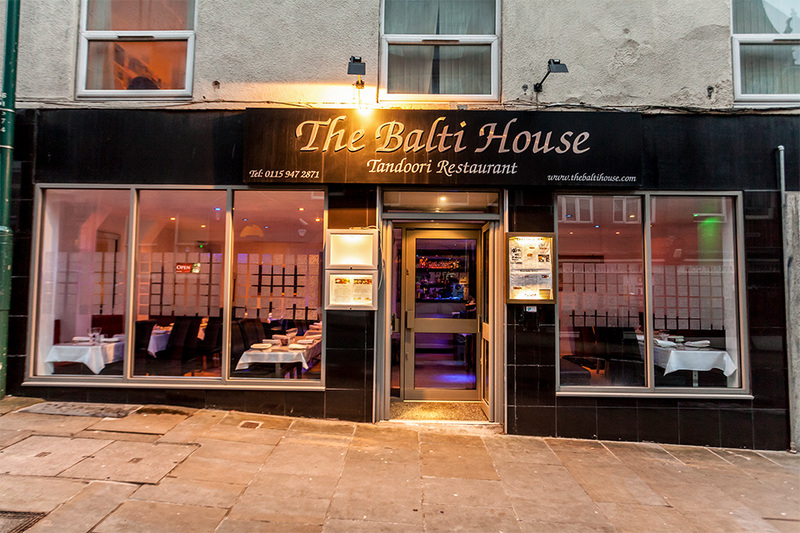 Owned and managed by former league cricketer Sabbir Hossain, whose passion for the sport is evident throughout the restaurant, The Balti House was once praised by the Bangladeshi cricket team when they visited Nottingham: you know the food has to be good when the national team seek out this restaurant as their home-from-home kitchen. The classic and signature dishes are a particular point of pride as their customer base spans over three decades. It is this consistency that keeps loyal customers returning year after year to enjoy the traditionally prepared dishes which are not only great value for money but are prepared with a fantastic level of passion and skill that is synonymous with the exotic cuisine. Guests are able to relax in a warm and welcoming atmosphere which the team strive to maintain alongside their culinary prowess. Rather than drowning the tender cuts of meat, fish and seafood in overpowering and painfully spicy sauces, the focus at the Balti House is on flavour rather than heat. This said, those with an appetite for a hit of spice are able to indulge in dishes such as the unforgivingly hot Pall, fiery Ceylon or punchy Patia, all which come with a choice of meat, vegetable or seafood. For those who like to keep their taste buds intact throughout their meal will find a satisfying selection of classic and popular dishes including korma and dansak. As all dishes are prepared fresh to order you can always ask for each dish to be adjusted to your own tastes. Vegetarians and vegans will also find themselves well catered for with an extensive meat-free menu dedicated to delicious vegetarian Indian cuisine. 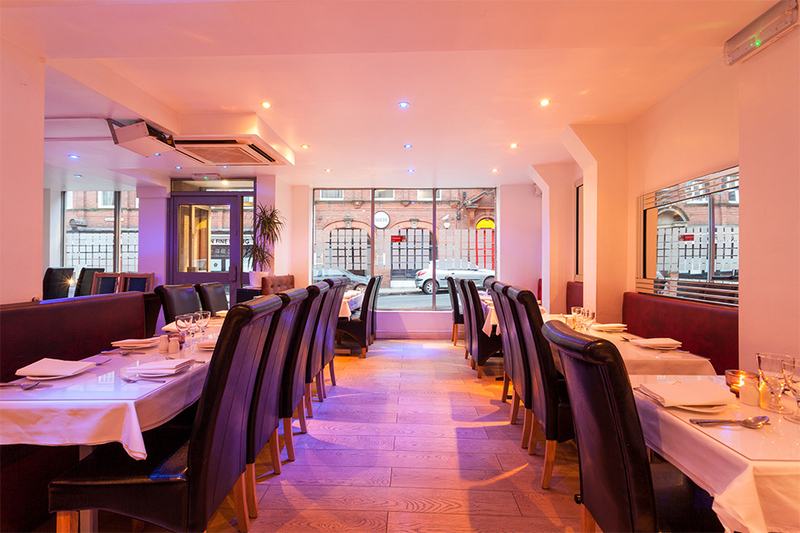 If you are looking for an authentic taste of India in the heart of Nottingham, look no further than the incredibly well-established Balti House Nottingham. Heading to the theatre? 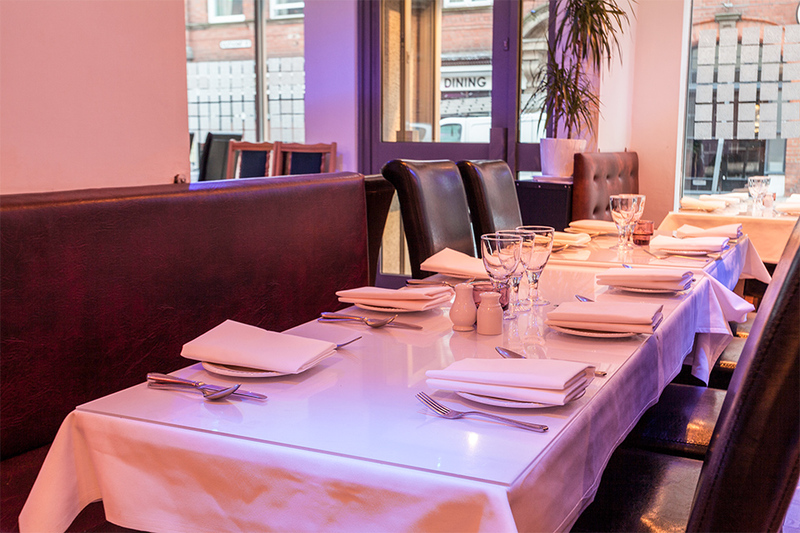 Book a table at Balti House and enjoy their incredible value two course menu for just £8.95 per person. See menu for full list of dishes available. Available 5:35pm - 6:55pm. Treat your little ones to this delicious children's menu at The Balti House. Choose from a small meal for £5.95, medium for £6.65 or a large meal for £6.95. 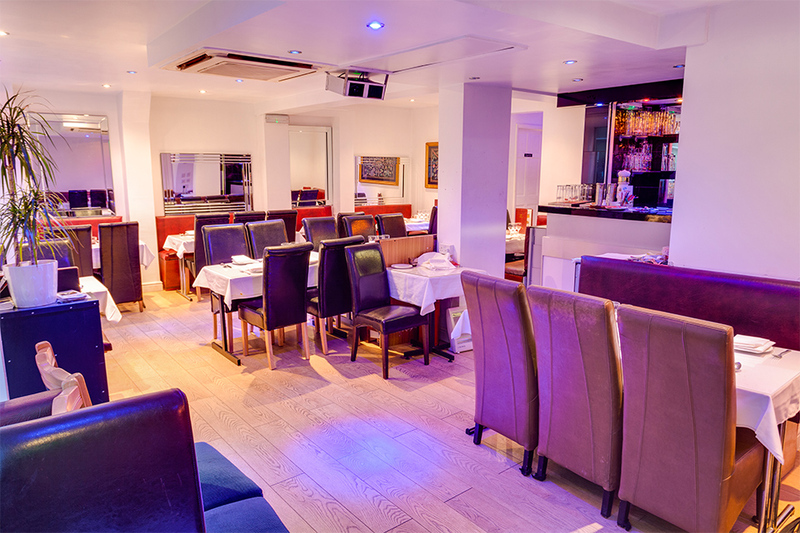 Balti House have been the choice venue for hosting parties for years! 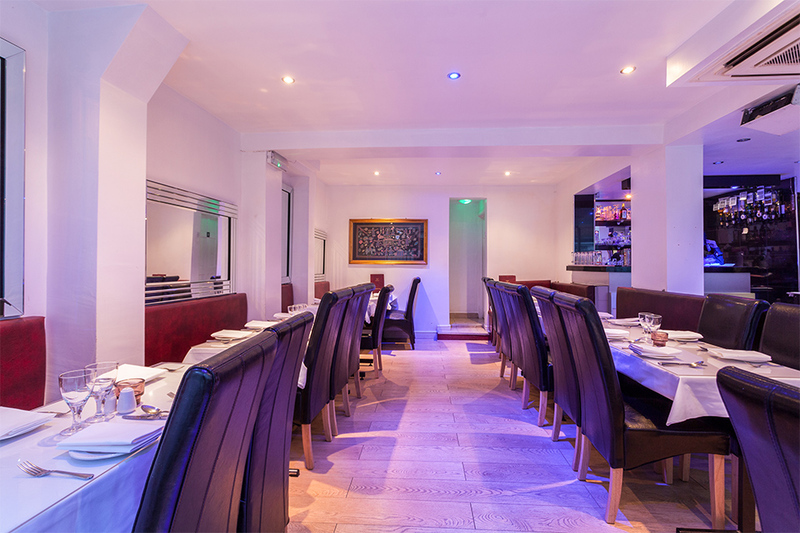 Available for parties of 8+ enjoy 2 delicious courses of authentic Indian cuisine for just £13.95 per person including poppadoms and chutney, a platter of starters to share and a main of your choice served with pilau rice and naan! This offer is normally priced at £16.95 but available Exclusively through Go dine for just £13.95. During December this menu will be priced £15.95 per person. Enjoy 2 delicious courses from the set menu for just £10.95 per person available throughout the week, 5:30 - 10pm every day. Choose a starter, main and side.